When registering on our app or website, as appropriate, you may be asked to enter your name, email address or other details to help you with your experience. We collect information from you when you download and sign up with our app or enter information on our site. Google hosts our app backend through the secure Firebase. Occasionally, at our discretion, we may include or offer third-party products or services on our website or in our app. These third-party sites have separate and independent privacy policies. We therefore have no responsibility or liability for the content and activities of these linked sites. Nonetheless, we seek to protect the integrity of our site and welcome any feedback about these sites. Do we let third-parties, including ad networks or plug-ins collect PII from children under 13? No, not Permitted by us. simplerotamaker@gmail.com and we will promptly remove you from ALL correspondence. The Terms of Service ("Terms") given herein govern your access to and use of the services, websites, and applications offered by Simple Rota Maker App (the "Service"). You can access and use the Service only if you accept and comply with these Terms. The use of the Service is conditional. It may be used only if you can form a binding contract with Simple Rota Maker App, and only if you conform to these Terms and all applicable local, state, national, and international laws, rules and regulations. You may not use the Service if you are not of legal age to form a binding contract with Simple Rota Maker app or you are a person barred from using the Service under the laws of the republic of Ireland or other countries including the country in which you are resident or from which you use the Service. Subject to applicable law, Simple Rota Maker App may refuse to offer the Service to any person or entity and change its eligibility criteria at any time. By installing and using this service you agree to abide to the following rules and regulations. Failure to abide by these rules may lead Simple Rota Maker App to take action we deem necessary to protect the integrity of the Service. ➢obstructing, hampering,(or attempting to do so) the access of any user, host or network. ➢all activities without limitation such as sending a virus, overloading, flooding, spamming, mail-bombing the Service are rigorously prohibited. These may also include scripting the creation of Content in such a way that obstructs the working of the Service or creates an unnecessary strain on the Service. Any actual or suspected fraudulent, abusive, or illegal activity may be referred to appropriate law enforcement authorities. Simple Rota Maker App strictly prohibits copyright infringing activities on the Service and reserves the right to terminate access to the Service and remove all content submitted by any persons found infringing third party copyrights. As you will be responsible for all activities that occur under your account, you should keep your password strictly confidential. You are solely responsible for maintaining the confidentiality of your account and password and for restricting access to your mobile device, and you agree to accept responsibility for all activities that occur under your account. With this Service you the user may be able to generate, post and share written text, images, video, audio, graphics, documents or any other material uploaded on the Service. Under these Terms "Content" or “User Content” or “User Postings” refers to any such information uploaded by you or appearing on the Service. . You hold the ownership of all Content that is submitted or posted by you. This also includes any content displayed or made available on the Service. You acknowledge that Simple Rota Maker App cannot guarantee any anonymity or confidentiality with respect to any User Content. You agree that Simple Rota Maker App does not pre-screen, approve, monitor or control user generated Content. You agree that when using the Service, you may be exposed to Content from multiple sources, and that such content may be inaccurate, offensive, indecent or objectionable. You agree to waive, and hereby do waive, any legal or equitable rights or remedies you may have against Simple Rota Maker App with respect thereto. Without obligation, we reserve the right at all times to delete, refuse to distribute or publish any Content on the Service we deem inappropriate as per our Terms. Should we in future provide a service whereby you can post content publicly, When you post such public content through the Service, Simple Rota Maker App, its affiliates, sublicensees, partners, and designees, gets a worldwide, non-exclusive, perpetual, irrevocable, royalty-free, sub-licensable and transferable license to use this content. 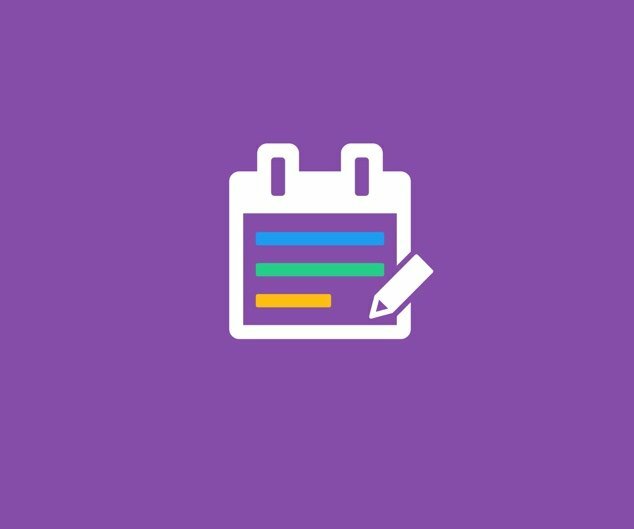 Simple Rota Maker App may copy, reproduce or process such Content. Simple Rota Maker App also gets the right to adapt, modify, reformat, translate, publish, display, transmit and distribute such Content in any and all media. Simple Rota Maker App may use any known or later developed distribution methods for doing so. Simple Rota Maker App also has the right to sublicense its rights to use this Content. You also acknowledge that this license allows Simple Rota Maker App to make your publicly posted Content available to others for publication or distribution. The Content can be used for syndication, or broadcast on other media and services, subject to the terms and conditions of Simple Rota Maker App for use of such Content. By using this Service you agree that Simple Rota Maker App or others are not liable to pay any compensation to you for the use of the Content that you submit, post, transmit or otherwise make available through the Service. You also agree to grant each user of the Service a non-exclusive license to access your publicly posted Content through the Service and to use it in accordance with this Agreement. As per our Terms and Conditions, Simple Rota Maker App gives you a personal, worldwide and royalty-free license to use the Service as it is provided to you by Members of Us Limited. However, these services are revocable, non-assignable and non-exclusive. The Content or communications posted via the Service may not be accurate, reliable, truthful or complete and Simple Rota Maker neither guarantees nor shall be held reliable or responsible for the above. We do not endorse, support, represent any of the Content on our Service nor endorse any opinions expressed via the Service. You also realize that while using the Service, you may be exposed to Content that might be offensive, harmful, inaccurate or otherwise inappropriate. Simple Rota Maker App shall not be answerable to users or the law in any way under any circumstances for any Content. Simple Rota Maker App holds no liability for any type of Content inclusive of, but not restricted to, any errors or omissions in any Content. Simple Rota Maker App shall not be held liable for any loss or damage that might occur as a result of the use of any Content made available via the Service or broadcast elsewhere. The user holds complete responsibility for the use of the Service, for any Content provided by them, and for any consequences thereof, including the use of their Content by other users and third party partners. Since Simple Rota Maker App is under license and can republish the Content and in case you do not have the right to submit Content for such use, it may subject you to liability. By posting content to the service you confirm that you have the rights and authority to grant the rights granted herein to such Content. Without obligation, we reserve the right at all times to delete, refuse to distribute or publish any Content on the Service we deem inappropriate as per our Terms. Simple Rota Maker App and its licensors hold all exclusive intellectual property rights, title, and interest in and to the Service and this shall remain their sole property. This does not include the Content provided by users. There is no provision on the Service that grants any licence or right to use any marks, domain names, logos, and other distinctive brand features without written permission from the Simple Rota Maker App. This proprietary right shall continue to exist after termination and expiration of these Terms and remain in full force and effect thereafter. You agree that you will not to copy, reverse-engineer decompile, transfer, assign, resell, rent, distribute or use the Service (or any part thereof) other than as expressly permitted by Simple Rota Maker App and its licensors. Any breach of this agreement subjects you to liability and litigation. The Service is protected by copyright and other laws of the Republic of Ireland and foreign countries. Simple Rota Maker App gives due regards to the individual proprietary rights of others and anticipates similar response from other users of the Service. Keeping in view this copyright policy, all notices that claim copyright violation as per applicable laws and are provided to us properly shall be responded to by us. Simple Rota Maker App works in accordance with the Digital Millennium Copyright Act. If you are of the opinion that your Content has been copied in a way that amounts to copyright infringement, kindly provide our copyright agent with the following information as required by the Digital Millennium Copyright Act: (i) a physical or electronic signature of the copyright owner or those of a person who is permitted to act on their behalf; (ii) identification of the work owned exclusively by the claimant and alleged to have been meddled; (iii) description of the material that is asserted to be infringing or to be the subject of any such activity and that is to be deleted or access to which is to be restricted, and all the required inputs suitably enough to allow us to locate the material; (iv) your contact information, which includes address, telephone number, and email-id ; (v) a statement by you that you are certain that the material in question has not been at any point of time been authorized to be used in the manner regarding which the complaint is being made. You must ensure that this authorization has not been given to anyone by the copyright owner, its agent, or the law; and (vi) a statement that the information in the notification is correct, and, under penalty of perjury, that you are commissioned to act on behalf of the copyright owner. For any copyright related queries/complaints, you can mail us at simplerotamaker@gmail.com. Simple Rota Maker App retains the right to delete Content that is reported to be breaching copyrights or otherwise illegal without giving prior notice and at our exclusive disposition. Furthermore, Simple Rota Maker App may delete a user's account if the user continues to be a repeat offender. The Service will include promotions, which may be targeted to the Content or information on the Service, inquiries made through the Service, or other relevant information. Simple Rota Maker App may revise the categories and magnitude of advertisements on the Service. In regard to Simple Rota Maker App providing you access to and use of the Service, you acknowledge that Simple Rota Maker App and its third party providers and partners may place such advertising on the Service or in relation to the display of Content or information from the Service whether it is submitted by you or other users. We appreciate the feedback, comments and suggestions you provide to Simple Rota Maker App at your discretion. You acknowledge that you are free to do so and that you shall not purposely provide any feedback that infringes upon third parties' proprietary rights. You also acknowledge that any and all rights, including intellectual property rights in such Feedback shall belong exclusively to Simple Rota Maker App. It is further understood that we will be free to use such feedback, comments or suggestions as we see fit and without any obligation to you. As a part of Simple Rota Maker APP services, we may provide links to third-party websites or resources. You agree that we cannot be held responsible or be liable for the information, content, products, or services on or available from such websites or resources. Furthermore,we do not guarantee and are not responsible or liable for the availability or accuracy of such websites or resources. Providing links to such websites or resources does not indicate that Simple Rota Maker App in anyway endorses these websites or resources. You agree that the onus lies totally with the you while using any such websites or resources and you shall assume responsibility for any risks occurring thereof. The subscribers or users fully understand that they are at their own risk while accessing and using the Service or any Content. The Service is provided on an "AS IS" and "AS AVAILABLE" basis without any Warranty. To the maximum extent permitted by applicable law Simple Rota Maker App disclaim all liability and responsibility for the preciseness, correctness, integrity, timeliness, availability, fitness for a particular purpose, security or reliability of the Service or any content you download or use by means of the service. In case of any damage to your mobile, loss of data, business or any other fault that may occur from accessing or using the Service or Content therein, it will not be a responsibility or liability of Simple Rota Maker App. You also agree that in case of deletion, omission or failure to save or transmit, any Content or other communications maintained by the service, Simple Rota Maker App will not be responsible or liable. We make no claim or warranty, expressed or implied with respect to the Service, that the Service will meet your requirements or be available to you without interruptions or errors or be completely secure. All risk arising out of the use or performance of the Service and any Content (including user Content or postings) made available through or on the Service remains solely with you. Any information or advice, in written or oral form, given by Simple Rota Maker App, or obtained through the Service, will not be considered as warranty. and any behaviour or content of any third party posting to the Service, including without limitation, any defamatory, objectionable or illegal conduct of other users or third parties. Under no circumstances shall Simple Rota Maker App’s s liability under, arising out of or relating to the Service, these terms or use of the service or arising from any claim by any other party exceed the fees paid by you for the Service, if any, even if Simple Rota Maker App has been informed of the possibility of such damages. EVERY EFFORT HAS BEEN MADE TO ENSURE THE SATBILITY & INTEGRITY OF Simple Rota Maker App. WE WILL NOT BE HELD LIABLE FOR ANY FAILURES IN THE APP DUE TO, BUT NOT LIMITED TO, YOUR INABILITY TO USE THE APP APPROPRIATELY, SYSTEM OR DEVICE FAILURES WHILE USING THE APP, AND ANY THIRD PARTY MALICIOUS INTRUSIONS TO OUR SYSTEMS. ANY ATTEMPTS AT MALICIOUS INTRUSIONS WILL BE INVESTIGATED AND PROSECUTED TO THE FULL EXTENT OF THE LAW. ALL IN-APP PURCHASES PERFORMED IN Simple Rota Maker App ARE FINAL AND NON-REFUNDABLE EXCEPT UNDER SPECIAL CIRCUMSTANCES WHICH WILL BE REVIEWED ON A CASE BY CASE BASIS. If any person stakes a claim against us in regard to your actions or postings on the Service, or actions or Content by or from somebody using your account, you will indemnify , defend, and hold us and our affiliates, including the directors and employees, harmless and unaccountable for any and all damages, costs, losses, and expenses of any kind including reasonable attorneys’ fees and other legal expenses and costs related to such third party claim. Under no circumstances whatsoever will Simple Rota Maker App and any of its affiliates be liable in any way for any Content and user postings, including, without limitation, for any errors or omissions in any content, or for any infringement of third party's right, loss or damage of any kind incurred as a result of the use of such Content and/or user postings. Governing law: These Terms, conditions and any action related to these will be regulated and construed in accordance to the laws of the Republic of Ireland. This is applicable irrespective of any contradiction or conflict of law provisions of your home state or country of residence. All claims, legal proceedings or litigations arising in connection with the Service will be brought solely in Dublin Ireland and it is considered as agreed by you to the jurisdiction of and venue in such courts and you shall not have any objection citing inconvenience. Limitation of claims: You agree that regardless of any statute or law to the contrary, any claim or cause of action arising out of or related to use of the Service or the Terms must be filed within one (1) year after such claim or cause of action arose or be forever barred. Alternative dispute resolution ("ADR") : Under certain scenarios, for claims (excluding claims for injunctive or other equitable relief) under these Terms of service where the total amount of compensation sought is less than €10000, the party seeking compensation may decide to resolve the dispute through binding non-appearance-based arbitration. The party seeking arbitration in this manner shall initiate the arbitration through an established alternative dispute resolution ("ADR") provider mutually agreed upon by all parties. The arbitration shall be conducted by telephone, online and/or be solely based on written submissions, as decided by the party initiating the arbitration. The arbitration does not requireany personal appearance by the parties or witnesses unless otherwise mutually agreed by the parties and any judgment on the compensation rendered by the arbitrator may be entered in any court of competent jurisdiction. The option for this route of dispute resolution remains at the discretion of Simple Rota Maker App and its affiliates. The inability or failure of Simple Rota Maker App at any time to enforce any right or provision of these Terms will not be considered as a waiver of such right or provision and will in no manner affect our right to enforce the same at a later time. If any of the provisions of these Terms are held invalid, unenforceable, or void by a court or other tribunal of competent jurisdiction, the parties nevertheless agree that the court should endeavour to give effect to the parties' intentions as reflected in the provision, and the remaining provisions of the Terms remain in full force and effect. These Terms may be revised and changed from time to time with or without notice to you. The most current version will always be made available on this page (or such other page as the Service may indicate). Your continued use of the Service following such changes constitutes your acceptance of any such changes. You should review and are encouraged to check, from time to time, the most current version of these Terms. At all times, the latest version of these Terms shall be binding and prevail over any other version.